What is Israeli theatre? Is it only a Hebrew theatre staged in Israel? Are performances by Arab Israelis working in an Arabic theatre framework not part of the repertoire of Israeli theatre? Do they perhaps belong to the Palestinian theatre? What are the "borders" of Palestinian theatre? Are not theatrical works created in East Jerusalem by Arab Israeli playwrights and actors, and staged on occasion before Jewish Israeli audiences, part of a dialogue between Palestinian and Israeli cultures? Does "theatre" only include works staged under that title? 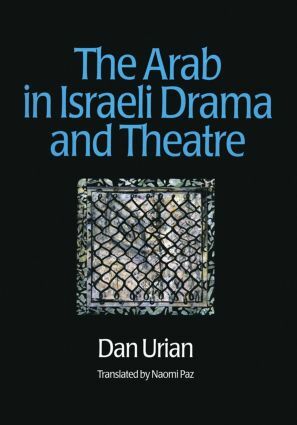 These and other similarly absorbing questions arise in Dan Urian's wide-ranging and detailed study of the image of the Arab in Israeli drama and theatre. By the use of extensive examples to show how theatre, politics and personal perceptions intertwine, the author presents us with a model which can be used as a basis for the further discussion and study of similar social and artistic phenomena in other cultures in relation to their theatre and drama.